The aim of this article is to show you how a bit of goal-setting, note-taking and the use of lists can help you to improve your Juggling Skills. This isn’t for everyone, but might make a difference in elevating your juggling to the next level. You can use pen and paper, or spreadsheets and databases. Entirely up to yourself as this shouldn’t feel like a chore! These tips could apply for much more than improving your juggling skills so feel free to adapt them for whatever it is that you are learning! 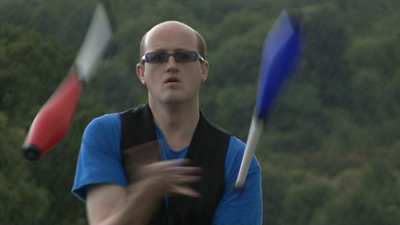 What do you want to achieve as a Juggler? This may be a question that you have never asked yourself, but it could make a huge difference in being able to motivate yourself. You may just purely be learning these skills for fun, but it may be that it is time to consider more of a structured approach to learning. One method is to set some goals to work towards (such as mastering a certain prop, or a certain trick, or being able to perform a show that lasts a certain amount of time). It is OK to have more than one goal, and these can be a mixture of short & long-term goals. 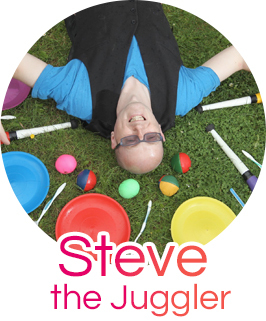 For example, I am currently developing my performance skills with Cigar Boxes, Parasol and Ball and some other unusual props which not many other performers use (tricks), but I am also working hard on learning dual devilstick propellers and 6 Ball Juggling (technical skills)! Goals should be SMART (Specific, Measured, Achievable, Realistic, Timed). They should be a challenge and take a bit of effort! If you can work out what you would like to achieve, then you can make sure that your practice sessions are geared towards learning whatever skills you require for this purpose. 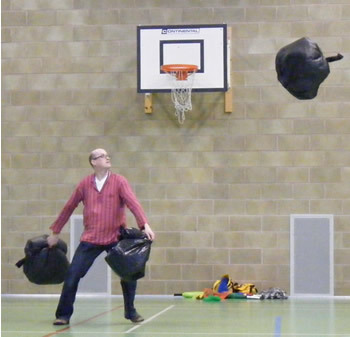 If you are working on Numbers Juggling in particular (the art of throwing 3+ objects) or trying to achieve a certain trick, then it is useful to keep a track of how many throws you are managing during each practice session. You can gain a huge sense of achievement when you can prove to yourself that your skills are improving over several weeks, months and years. You can also keep track of the date(s) that you beat your own record. 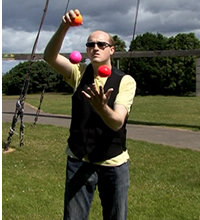 If you juggle with many different items and use many different circus skills props then it would be very difficult to remember every trick that you have ever learned as this could number in the hundreds if not thousands! Consider making a list of every trick that you can perform for each prop and this will allow you to remember every trick so that none of them become rusty. It will also enable you to put routines together as you can look at the tricks and choose which ones might flow best together. Creating a database of tricks is one useful method. Possibly columns/headings could be… name of prop, description of trick (or even a website address or page of a book that gives detailed instructions), difficulty level, additional notes etc. You might also want to create a list of tricks you would like to learn at some point. Any time you are feeling bored or wanting a break from practicing your existing tricks (or have mastered a trick and are ready to move on), you can look at the list, and pick a new trick!